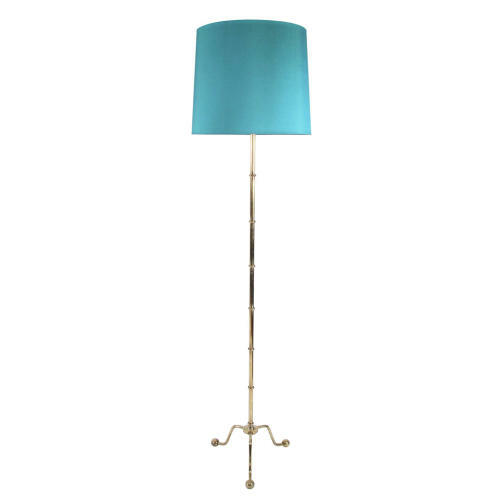 A tall sectioned brass floor lamp on a triform base with ball feet. Pictured with hand made silk shade. Re-wired. Height is to top of light fitting.